The Westchester Cup was created in 1876 and is always played for by teams from the USA and England. It has only been played four times since the Second World War and is currently held by England who won in 2013. 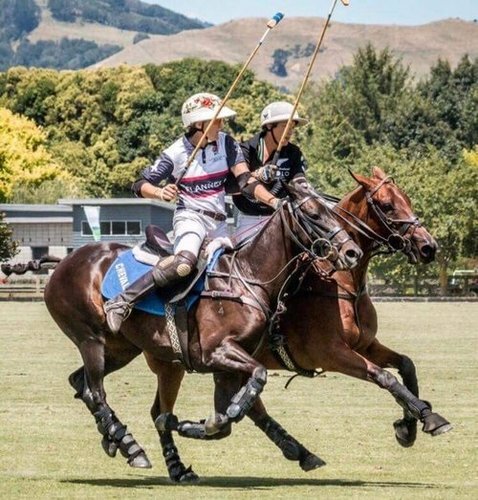 Following on from last year, a Ladies International, featuring Flannels England Ladies will also be on the schedule, highlighting the importance of women's polo across the globe. Westchester Cup: Tiffany’s created The Cup for the first match between the United States and Great Britain, which was played in 1886. The cup was then contested as a best of three-match tournament in 1902, 1909, 1911, 1913 and 1914 when the First World War interrupted the game and caused the death of many of the best players. Revived in 1921, it was played for in 1924, 1927, 1930, 1936 and 1939, all of which were won by the USA. After the Second World War, the Cup was not played for until 1992 when it was reintroduced as a one-off match. Played in England in 1992 and 1997, in the USA in 2009, and in England again in 2013 the record is 10 – 7 to the USA. This press release was distributed by ResponseSource Press Release Wire on behalf of Piaffe Limited in the following categories: Entertainment & Arts, Leisure & Hobbies, Sport, Business & Finance, for more information visit https://pressreleasewire.responsesource.com/about.